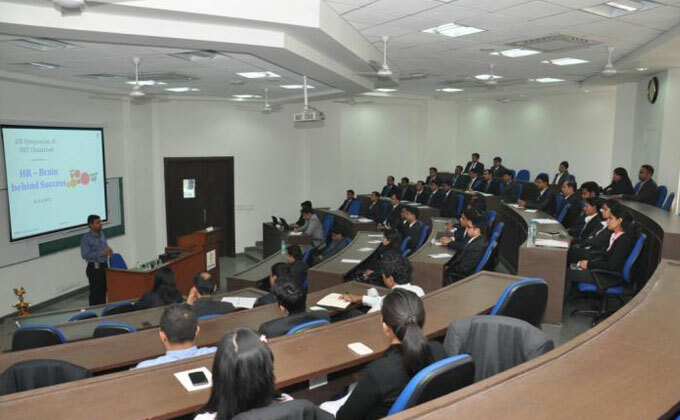 Meeting the growing demand of b-school graduates, identifying the challenges of fast-emerging global business scenario and incorporating cutting-edge management theories and practices, IMT Ghaziabad, India’s premier B-School today announced the key milestones in its Executive Program. Going apt with the urgent need of creating benchmark in business studies, the Institute introduced its rebranding drive for its 15-month PGDM- Executive Program to offer the best curriculum, pedagogy, and learning environment to mid and senior level professionals and develop a knowledge and skill platform that cultivates global expertise. The program enables the working professionals to polish, sharpen their business skills, and provides vast industry exposure, good networking possibilities and better career prospects, giving them an optimal ROI in minimum time. IMT collaborates with more than 82 universities across the globe to introduce an International Immersion Program including online foundation courses with Harvard. The key features of the program include Strong industry interface, Contemporary course curriculum, Business Simulation Workshop, Advanced Communication Workshop, and Live dissertation project arranged by the placement office etc. The Executive Program offers a mentor mentee program uniquely tailored for executives to create a refreshed perspective, new strategic approaches and a valuable peer network. The program encapsulates a broad range of concepts including actual case studies with simulations, real life projects, debates & discussions with senior executives of organizations, start-ups and consulting projects, and from the students themselves. It provides a beacon for the fastest learning and pedagogy experience and uniquely equips the students to adapt and evolve to the needs of global business environment. The candidates with at least 50%+ marks in graduation along with having a minimum 3 years work experience can apply to 15-month IMT’s PGDM (Executive) Program. IMT will consider the best CAT/XAT/GMAT score before making the final admit offer.